Lots of things to hear tonight … you better start early! Post a comment with your recent CDs, live shows, or whatever else you’ve been checking out. Let’s discuss! from Earshot Jazz: VARMINT, featuring Robin Holcomb on vocals, Wayne Horvitz on Hammond B3, Tim Young on guitar and vocals, Jon Hyde on pedal steel and vocals, Keith Lowe on acoustic bass, and Andy Roth on drums, is celebrating the release of their first, self-titled CD with a guest filled extravaganza at the Tractor Tavern. An all-covers band that does not rehearse, VARMINT specializes in Americana and roots music. Their live performances are typically exciting, spontaneous, and full of surprises. For this event, they are joined by back-up vocalists Arni Adler and Nova Devonie. Music starts at 8 pm; admission $15. MOSCOW, Idaho — Glittering streamers and confetti floated down from the rafters of the University of Idaho’s Kibbe Activity Center Saturday, as the Lionel Hampton International Jazz Festival celebrated the centennial birthday of its late namesake to a sold-out house of 5,000 fans. This was one of many thrills in the 41-year-old, extravaganza Wednesday through Saturday, with student competitions and clinics at day, and concerts at night. 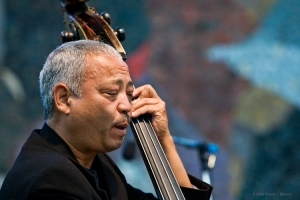 New features — some successful, some not — reflected the fest’s first year under the artistic direction of bassist and band leader John Clayton. His most obvious success was the integration on the main stage of new faces with veterans. 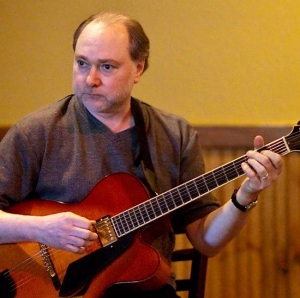 There is lots to see tonight including a CD release party, a legendary flamenco guitarist and some up-and-jazz jazz kids. Go out and hear some music! 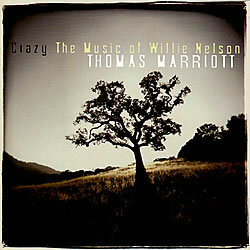 The music starts at 7:30pm and Thomas’ group will be performing most of the music from the new CD. Reservations are recommend for the best seating, call 206-838-4333. 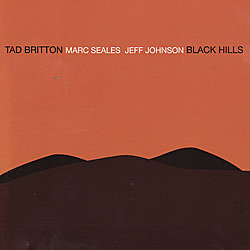 The Black Hills Trio featuring Marc Seales on piano, Jeff Johnson on bass and Tad Britton on drums will gather at Thaiku this Thursday night to perform music from their recent Origin Records release. Music at Thaiku is always free and the food is amazing … so take a trip to Ballard this Thursday. The sun is out and it is the start of a new week. 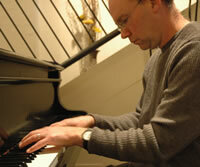 The first half of 2008 has not yet been named Wayne Horvitz Season, but perhaps it should be. Horvitz has four albums coming out between now and May, is embarking on a long-form collaboration with author Sherman Alexie based on the James Welch novel “The Heartsong of Charging Elk” and just got a remarkable review in The New York Times. Phil Sparks credits as sideman are way to long to list here, but the first-call bass player rarely leads his own groups. That’s why his weekly Friday afternoon gig at the Latona Pub has become such a great hang for the Seattle jazz community. With a rotating cast of his musical friends, stop by The Latona on your way home from work on Friday. Tad Britton and The Fu Kun Wu Lounge present a very special one-time performance featuring guitarist/pianist, DAVE PETERSON. Dubbed, “THE DAVE PETERSON EXPERIENCE“, this trio also includes Tad Britton on drums and Jeff Johnson on bass. 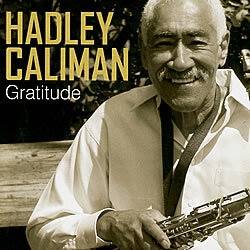 Hadley Caliman has released his first recording in over 30 years on Origin Records entitled “Gratitude“. The legendary tenor saxophonist teams up with vibist Joe Locke, drummer Joe LaBarbera, trumpeter Thomas Marriott and bassist Phil Sparks, re-establishing himself as one of the preeminent post-bop saxophonists alive. Caliman studied with Dexter Gordon, played with Gerald Wilson’s Big Band, the Bobby Bryant Band, & Mongo Santamaria in the ’50s, and later toured and recorded with Freddie Hubbard, Joe Henderson, Bobby Hutcherson and Santana throughout the US and Europe through the ’70s. PREVIEW THE CD BY CLICKING THE LINKS BELOW. We’ve hit the mid-week point … if you need to get out and hear some music, tonight is the night to do it. An ode to some of the organ greats in soul jazz, McTUFF is about letting it all go and having fun. A moment of time to remember the ease and tastiness laid down by these soul masters while mingling in original works of their own, all of it set on your plate today by some of the most accomplished players in town. Joe Doria captains the Hammond Organ, the renowned “Skerik” on tenor sax, the impeccable Andy Coe on guitar, and last but not certainly not least, the incredible Dvonne Lewis providing the 100% solid rock on drums.